Call Us for Your New Motorcycle! When you're looking for a new or used dirt bike or street bike, Carter Power Sports is the dealer for you! Since 1999, our friendly, professional, staff have built a reputation of excellence and an atmosphere that is family-friendly. We specialize in providing you with safe, new and used motorsports vehicles. 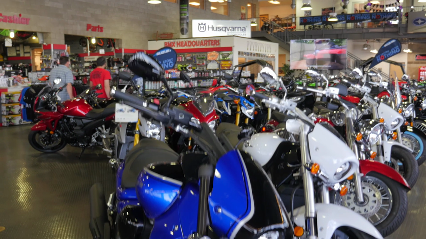 Carter Power Sports carries a huge inventory with a variety of trusted brands such as Honda, Suzuki, Polaris, and even KTM! Whether you're definitely ready to make a purchase, or would like a consultation to weigh your options, Carter Power Sports is the dealer for you! Call (702) 666-6515 Today and Check Out Our Inventory!